We are so excited about this!! 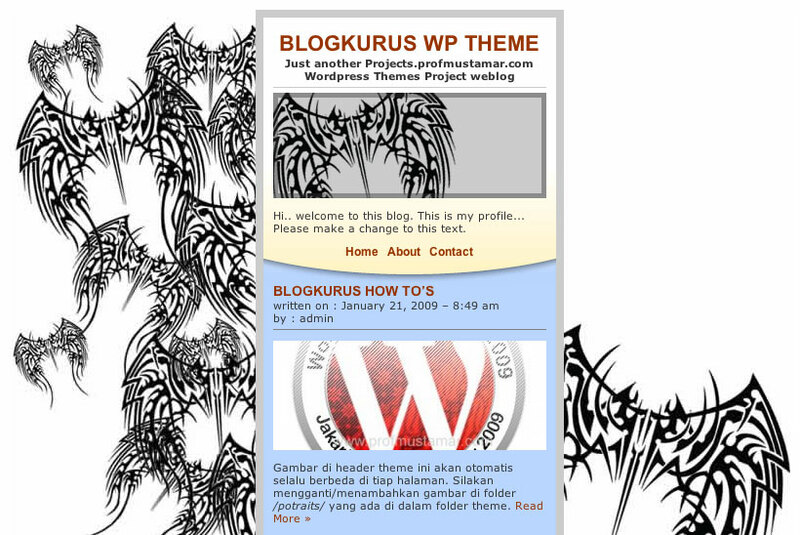 Ladies and gentlemen we proudly present to you BlogKurus! Translated as Thin Blog this is the most innovative and fantastic use of design we have ever seen from a WordPress theme designer. That designer is of course Mohammad Mustamar Natsir. BlogKurus is not just thin its THiiiiiiiiiiiiiiiiiiiiiiiN. With very simple functionality and beautiful styling we can see a potential competition ahead between WordPress developers to see who can make the best use of this theme. But the bigger fight might be to see who can create the best background image to fit either side of the blog, (have a look at the promo shot below!) please please post links to your developments of BlogKurus in the comments below we are chomping at the bit to see them. We still haven’t mentioned the very best thing about BlogKurus yet, it’s free!! 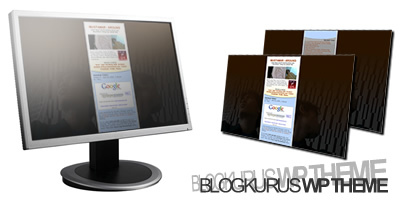 That’s right, one of the best wp theme designs on the net is completely free to download and use straight away (download link at bottom of page). Obviously we recommend this theme! There’s a full demo below and a link to Mustamar’s website which is a must see. 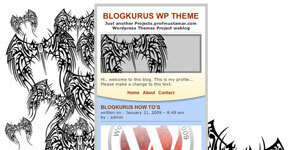 We love this one so much we are even offering installations of BlogKurus for £150 which is our lowest price so far, so if you are a non-tech WordPress newbie you can have this theme too! Lastly a big thank you to Mustamar we hope you keep designing and we are looking forward to the next one!